Considering the mass adoption of broadband in the UK and considerable expense or traffic to get anywhere, are LAN centres a thing of the past? Is the culture different in our country as opposed to South Korea or even the US where people will gladly travel long distances to meet others and attend a large event (PAX for example)? The i-series is still going strong, and speaking of which the 31st event is being held this weekend. At it big companies like Intel, Asus and Scan (to name just a few off the top of my head) will be there, and there's even some eye candy Girls Aloud there today and a playable Crysis! 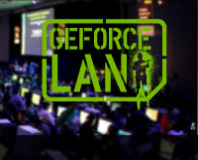 But it's not the same as having a LAN centre there all the time which people might just end up taking for granted. However, with the rise of social networking, large MMOs like WoW and even the ever popular party machine, the Wii, is seeing your friends and making the effort to interact a "new" fun thing? Let us know your thoughts after you've voted in the forum poll.